Roland Sands, a staple in the stylish and ever popular ‘cafe racer’ market, is unveiling two jackets true to their namesake's passion and design. 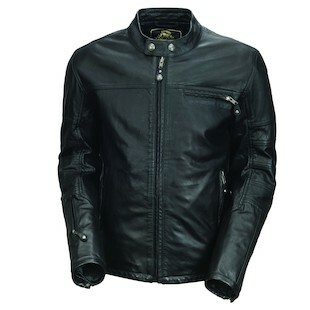 The Roland Sands Ronin Reserve and Ronin Reserve Textile Jacket place style and grace above all else. These two jackets are designed more towards having style at your destination, as opposed to protection from the ever-impending high speed gravel embrace. This makes them ideal for riding around Chinatown and inner city neighborhoods right out of the box, or possibly even higher speed riding with the addition of chest, shoulder, and back protectors. The Roland Sands Ronin Reserve Textile Jacket utilizes a great breathable alternative to the hot leather counterparts, allowing a rider to enjoy the ride without requiring a cold swim or shower at every stoplight. The Waxed Cotton will weigh as much as a high quality carbon fiber helmet (roughly 3 - 3.5 lbs) creating less fatigue on the rider’s shoulders and arms, while still offering a great aggressive fit. Roland Sands designed this jacket as an extremely versatile, water repellant, entry-level jacket (coming in at $350.00) for all types of riders. Refining the Ronin lineup even further, the Roland Sands Ronin Reserve Jacket sheds unnecessary weight (over 1 lb) as compared to the original Ronin. 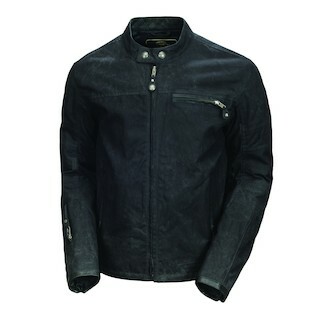 Roland Sands was able to drop pounds by slimming down the sleeves of the jacket, while miraculously maintaining the same fitment and sizing as the original jacket. The weight reduction will also come from a swap from the standard Ronin’s 1.1 MM “Airbourne” leather, to the .8-.9 MM “Blackstone” cowhide. Due to the change in the leather material being used, as well as the limited production of these jackets, the priced has increased to $650.00. For the increased price, this jacket would see its ideal rider as those looking for a less bulky/heavy, refined version of the Ronin. Every season, we see Roland Sands stand out as one of the very few manufacturers taking advice from their consumers, and this year is no exception. Listening to customers who thought the Ronin was just a bit bulky, the Reserve will offer a fine tuned Ronin version (for those lucky enough to grab one of the few being made). At the other end of the spectrum, the Waxed Reserve will offer an entry-level rider the opportunity to wear the coveted RS button logo, without taking out a second mortgage. This features also allows any Roland Sands die-hards the ability to wear their jacket without breaking the bank (or making their significant others mad when rent is due).